Despite advances in longer-lasting tires, actual tread life will vary by car type, tire type (such as all season or high performance), driving aggressiveness, and even road and weather conditions. Car owners still need to replace their tires a few times or more throughout the life of a typical vehicle. As the adage goes, nothing lasts forever. Proper maintenance and responsible driving can maximize the mileage in a set of tires. Monthly tread inspections can inform when the tires warrant replacement, well in advance of the federally mandated tread-wear indicators. In most states, tires are legally worn out when their tread depth reaches 1/16 inch (or 2/32 inch as found on standardized tread-depth gauges). The easiest way to measure this, if you don’t have a gauge, is to hold a penny upside down in the tread. If the top of Lincoln’s head is visible, you need new tires. But using a penny standard doesn’t work for all weather conditions. We have found in our tests that a tire with just 1/8-inch tread was notably worse in hydroplaning resistance and snow traction. By the time only 1/16 inch remains, wet-pavement cornering and braking drop off too. Based on our experience, when your tires have less than 1/8 inch of tread left, it’s a good time to start shopping for replacement tires. As a better indicator of tread wear, place a quarter upside down in a tire groove. The distance from the coin’s rim to George Washington’s hairline is about 1/8 inch. If you see all of his head in any one groove where a tread-wear indicator appears, consider shopping for new tires. Once a need for new tires is determined, it is necessary to identify the best tires for your vehicle and driving demands. Look for tires that do well in our tests for braking, handling, and resistance to hydroplaning. Winter traction should also be considered, if applicable. Let tread wear, ride comfort, noise, and rolling resistance be tiebreakers. Our comparative tread-life tests demonstrate that a manufacturer’s warranty doesn’t always reflect how a tire will wear. The tread-wear warranties manufacturers provide for their tires are pro-rated; the more miles on the tire, the less credit you get on a replacement. And most tire warranties only cover damage resulting from regular use and don’t cover damage resulting from potholes or other road hazards. Tire prices can vary widely by region, and retailer. Check independent tire dealers, online or mail-order stores, tire chains, car dealerships, department stores, and warehouse clubs. Be sure to ask whether the price includes mounting, balancing, and tire disposal, which can increase the total cost. Look at the sidewall of a tire for a designation beginning with DOT (for Department of Transportation). The last four digits of the designation indicate the week and year of manufacture. For example, 3313 means the tire was made during the 33rd week of 2013. Don’t purchase tires that are more than a few years old. There is a wide range of tires types and size available from popular brands such as Bridgestone, Cooper, Dunlop, Firestone, Goodyear, and Michelin, to name a few. It pays to know what is currently on your vehicle and to learn about your options. There are three basic types of tires—car, truck, and winter—and each has a few choices in each category. The choice of a car tire depends on how you drive, the type of tire included with your car, and the performance you want. Come in sizes to fit everything from small cars to light-duty SUVs and pickups. They are a popular choice for many older vehicles and are for drivers who want year-round traction, long tread wear, and a comfortable ride. But they typically lack the precise handling and grip of performance tires. Have a higher speed rating than standard all-season tires. They generally provide better handling and braking. They are a popular choice for many newer cars. Are commonly fitted to upscale sedans or sporty vehicles. These tires are designed to provide good handling and responsive steering in wet and dry conditions, but the tread wear and ride comfort are common compromises. Summer versions are not intended for cold weather and won’t grip in snowy or icy conditions. All-season versions may compromise some dry and wet grip to gain winter traction. Because of their size, dynamics and how they are used, trucks and SUVs often require special tires. Some automakers advise sticking with the tire type that the vehicle originally came with. Consult the owner’s manual to see if a specific type is recommended. You can often improve road handling by switching from an all-terrain tire to an all-season. are well rounded and are good for road driving. They are designed to perform reasonably well in most conditions. Are suited to paved roads and light-duty off-road use. They provide added traction on unpaved and snowy roads. Speed ratings: S (112 mph) for many. Tread-wear warranty: None or 40,000 to 60,000 miles. Typical wheel size: 15 to 20 inches. If you drive often in wintry or icy conditions, then winter tires might make sense for you. They offer superior grip to go, stop, and corner, but winter tires typically have faster tread wear than all-season tires because the tread is specifically designed to bite into snow and ice, and the rubber is formulated to stay pliable at freezing temperatures. Also, winter tires generally stop longer than all-season tires on cleared roads. Winter tires have a mountain/snowflake symbol on the sidewall. It indicates that they passed an industry test for severe snow use. All the winter tires we tested carry that symbol. Don’t be misled by the M&S (mud and snow) designation found on the sidewalls of a tire. That doesn’t mean it’s a winter tire; it means only that the tire has a relatively open tread pattern. Performance winter tires coming sizes to fit cars using UHP all-season and summer tires, in other seasons. The dimensions necessary to describe the tire fitment, found on the sidewall. In addition, you’ll find the recommended tire size, as well as the speed and load ratings for your vehicle on a placard in the driver’s doorjamb, the glove compartment, or on the fuel-filler door. To understand how size, works, consider the common: P235/70R16 104T. In this example, P denotes passenger-car tire in this case, but many tires don’t have a letter, and some may have designation of LT indicatling use on a heavy duty light truck., The number 235 is the cross-section width in millimeters, while 70 is the ratio of sidewall height to cross-section width (70 percent). R means radial-ply construction and 16 is the wheel diameter, in inches. Check out our report on how to read a tire for more details. Do not mix tires starting with a P (called P metric) in front of the size with tires without a letter (called metric), and stay with the same designation as recommended by the vehicle manufacturer. Converting to metric tires is permissible, but not to P metric from metric in most cases. Ask a tire service provider for more information. Found on the tire sidewall, this number is based on the weight the tire can safely carry. You’ll find it after the tire size; the 104 load index for example correlates to 1984 pounds. Choose tires with a load index at least as high as the one that’s listed on your vehicle’s placard. Found on the tire sidewall, this letter denotes the maximum sustainable speed and is found directly after the load index. For S-speed-rated tires, it’s 112 mph; for T, 118 mph. Speed ratings for other tires include Q, 99 mph; H, 130 mph; V, 149 mph; and Z, 150 mph plus. While such speeds may seem wildly impractical, tires with higher speed ratings tend to provide better handling at legal speed limits. Choose tires that have a speed rating at least as high as the one specified on your vehicle’s placard. The one exception is winter tires. Look for a winter with that is close or the same speed rating as specified on the placard. Every tire has a Department of Transportation (DOT) number following the letters on the sidewall. The last four digits determine the week and year the tire was made; for example, the digits 2204 would signify that the tire was made during the 22nd week of 2004. Don’t buy tires more than a few years old. This is a tire’s maximum air pressure, given in pounds per square inch. But that doesn’t mean you should inflate your tires to that pressure, since automakers typically recommend an inflation pressure well below the tire’s maximum air pressure. Follow the advice on the vehicle’s placard, often located in the driver’s doorjamb, fuel filler door, or owner’s manual. The vertical side of the tire, surrounding the wheel, is called the sidewall. Here you’ll find important information, such as the tire size and load and speed rating, necessary to choosing a replacement. These scores denote a tire’s wet-stopping ability and temperature resistance. For traction, AA is best, C is worst. For temperature resistance, scores range from A (best) to C.
Treadwear is a key criterion that many shoppers use in buying new tires. How do consumers get information on tire wear? Well, there is the treadwear grade found on most new tires, excluding winter or snow tires and some deep tread off-road tires. But that treadwear grade is a comparative tool, and it does not tell in miles how long any one tire might last. A tire graded 200 should last twice as long as one graded 100. Tires need only meet the grade, so there is some latitude on how grades are assigned. The government plans a light overhaul of treadwear grades in the future, and it will be “repackaged” into a new tire fuel efficiency information system due out soon. More intuitive are the manufacturer’s mileage warranties, if available. Most replacement all-season tires have treadwear warranties, but they are rarely used on winter and high-performance summer tires. Treadwear warranties span the gamut—the latest all-season tire we tested had mileage warranties ranging from none up to 90,000 miles. Manufacturers use different methodologies in making treadwear mileage claims, which in turn makes comparing tire mileages across tire brands challenging. Facing the same dilemma as shoppers over how to choose the longest wearing tire, Consumers Reports tests tires for treadwear and has offered ratings on tread life since 2005, but we never listed the mileage until now. Going forward, Consumer Reports will provide a comparative tread life mileage in our tire ratings charts, offering projected mileage of all-season and performance all-season tires. Coverage will be expanded to ultra-high performance and truck tires in future tests. To predict the tread life, we run tires on our rigorous vehicle treadwear test in San Angelo, Texas, on the government’s treadwear course. An outside lab runs the test for Consumer Reports, driving almost around the clock, over 1,000 miles a day when the test is in-progress. In between, tires are swapped from vehicle to vehicle and tire tread depth is measured. Car and truck tires are run to 16,000 miles and faster-wearing ultra-high performance tires to 12,000 miles. Results point out that most tires meet or come close to meeting tire warranty claims, if available, but some tire models do fall short. Regardless of treadwear performance, keep in mind that tire life is highly dependent on what you drive, where you drive, and how you drive. Weather, road, and vehicle conditions also influence wear. To get the most out of your tires follow the maintenance tips outlined in your car owner’s manual including doing routine tire rotations, regularly checking tire inflation pressure, and getting periodic wheel alignments. Bridgestone, Goodyear, and Michelin are the top brands of tires sold in the world. Continental, Pirelli, Sumitomo, Yokohama, Hankook, Cooper, and Kumho finish out the top 10. Beyond that, Toyo, Maxxis, Nokian, and many others also sell tires in North America. Use these profiles to compare tires by brand. Based in Tokyo, Bridgestone is one of the three largest tire manufacturers in the world. Bridgestone Americas Tire Operations has its headquarters in Nashville, Tenn. The corporation manufactures and markets Bridgestone, Firestone, Dayton, and Fuzion tires, among other associate brands. It supplies tires for most applications in the United States. Bridgestone and Firestone replacement tires often score well in our tests. Continental is in a distant fourth place in North American and global sales, behind Goodyear, Bridgestone, and Michelin. Still, it offers a full complement of original and replacement tires. The Germany-based Continental Corporation is a top automotive supplier of brake systems and various vehicle components, in addition to tires. The U.S. tire operations have headquarters in Lancaster County, S.C. The company sells the Continental and General tire brands. In the past, General has shined for light-truck tires in our testing. One of the few independent tire manufacturers in the U.S. with origins going back to the early 20th Century, Cooper is among the world’s top-10 tire makers. Based in Findlay, Ohio, Cooper Tires offers a full array of tires, including the Avon, Mastercraft, and Starfire brands. 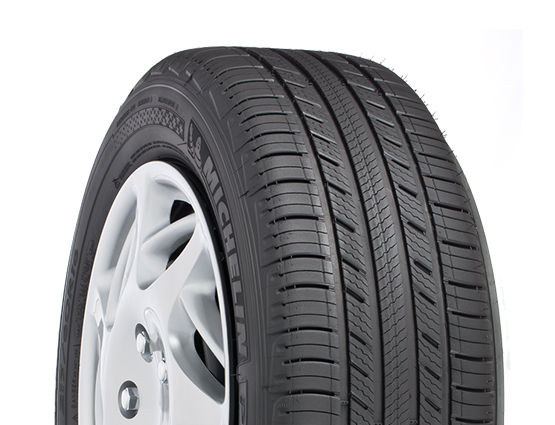 Cooper tires are most often sold by independent dealers, though they can be found online. In the past, Cooper has been a standout among light-truck tires. Goodyear claims to be the best-selling tire-maker in North America and is one of the leading tire manufacturers in the world. In 2008, it ranked third behind Michelin and Bridgestone for global tire sales. Based in Akron, Ohio, Goodyear is a major supplier of original and replacement tires and sells tires for most applications. Founded in 1898, Goodyear owns the Dunlop and Kelly-Springfield brands of tires sold in the United States. Goodyear and Dunlop have often been top picks in our Ratings. A Korean corporation, Hankook has its North American headquarters in Wayne, N.J., and a technical center in Akron, Ohio. Hankook is original equipment on several foreign and domestic auto nameplates. It also offers a complete line of replacement tires to fit most domestic cars and light trucks. Generally, Hankook tires we have tested offer good value for their well-rounded, all-weather performance. This Korean tire maker started in 1960, and today it is one of the top 10 tire manufacturers in the world. Kumho offers a full array of car and light truck tires. 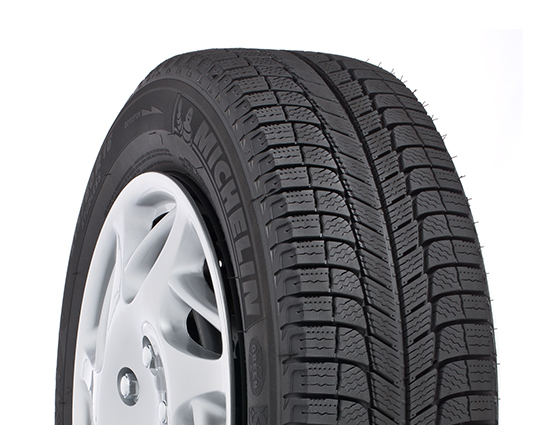 Their tires are noted for excellent value and good all-weather performance, based on our tests. A French company, Michelin has its North America headquarters in Greenville, S.C. As a global tire maker, it offers tires for nearly all applications. In North America, it owns the BFGoodrich and Uniroyal brands. Founded in 1891, Michelin first introduced the radial tire, and the company continues to be a pioneer in tire technologies. Michelin tires generally perform impressively in our all-weather tests and offer many models with low rolling resistance and long tread life. Pirelli is based in Milan, Italy, and it has a U.S. manufacturing plant in Rome, Ga. Pirelli caters to the high-end market with tires commonly found on luxury and sports cars. It has a stronger presence in Europe than in the United States, and yet Pirelli offers a full line of replacement tire models to fit most cars and light trucks sold in North America. It is an original equipment supplier to the domestic car manufacturers on selected car models. The Pirelli Group business sectors also include real estate, broad-band solutions, and environmental technologies. In our testing, Pirelli tires often impress us with their dry and wet grip and handling. Yokohama is a Japanese company with a global presence. Its North America headquarters are in southern California. Targeting performance enthusiasts, Yokohama tires place emphasis on handling and dry and wet grip. Its tires reflect this focus, our testing shows. Generally, we find that Yokohama tires are a good choice for consumers who live where winter driving is not a factor. A vehicle’s tires play a crucial role in a car’s safety. As the only parts of the car that physically touch the ground, they are one of the key factors affecting a vehicle’s handling and braking, and overall highway safety. What steps can you take to ensure that your tires stay in optimal condition? Performing regular checks is quick and easy, and a worthwhile investment of time in your and your family’s safety. Visually inspect your tires on a regular basis. If you note any of the following early warning signs, have a professional inspection performed, check and correct items that may be causing the condition, or replace your tires. Alternatively, you can use a Lincoln-head penny as a tread-wear indicator. Insert the penny into a tire groove with Lincoln’s head toward the tire. If you can see the top of Abe’s head, the tread is too worn. Surveys have shown that as many as half the cars on the road may be riding on one or more underinflated tires. Part of the problem is that tires lose air through the rubber and at interfaces with the wheel and valve, sometimes so slowly that many people don’t realize it has happened. Seasonal temperature changes may also cause the tire pressure to drop. Because the sidewall flexes more at lower tire pressures, underinflation compromises the driving control that a tire is designed to provide. Even a small pressure loss–such as 4 psi–can affect a car’s handling, making it harder to control. It can also make the ride softer and the car wallow. In addition, underinflated tires lower a vehicle’s fuel economy, which can cost you more money at the pump. A sidewall that flexes too much can also cause heat to build up excessively, which can shorten a tire’s life and possibly lead to a tread separation or blowout. For additional information on the effects of underinflated tires, see our report on early warning signs of tire failure. Don’t judge the pressure by eyeballing a tire. 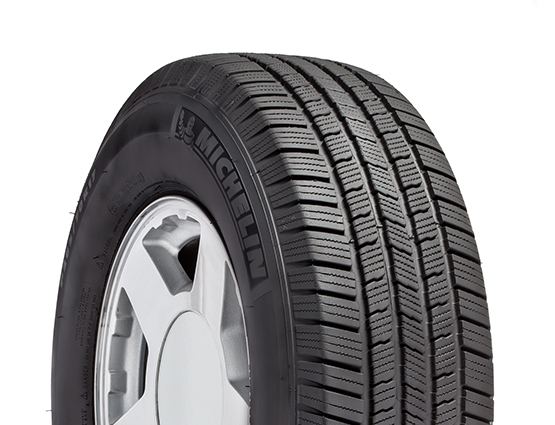 Modern radial tires bulge slightly, making them look a little underinflated, even when they’re not. Set the tires to the automaker’s recommended tire pressure. This is printed on a placard in the car, either on a doorjamb, the fuel-filler door, or on the inside of the glove-compartment lid. Don’t go by the “maximum inflation pressure” imprinted on the tire. If your car has a limited-service spare, also check that it’s inflated to the pressure specified on the placard–usually 60 psi. Measure the pressure with the tires cold, before they’ve been driven more than a mile or two. As the vehicle is driven, the tires heat up and the pressure rises, which makes it more difficult to set them to the correct cold-tire pressure. Filling tires with nitrogen rather than air is becoming a common practice in the replacement tire market. This service offers tire dealers another avenue for making money while also promoting safety. The claimed safety benefits often include the potential for reducing pressure loss compared to an air-filled tire. Maintaining proper inflation can help prevent tire overheating; promote optimum tread life and fuel efficiency; and reduce rubber aging and wheel corrosion. Consumer Reports testing has found nitrogen filling offers some air retention benefit, but it does not stop air loss completely to do natural permeation in tires we tested. Our test results show nitrogen does reduce pressure loss over time, but the reduction is only a 1.3 psi difference from air-filled tires. The average loss of air-filled tires was just 3.5 psi from the initial 30 pressure setting. Nitrogen-filled tires lost an average of 2.2 psi from the initial 30 psi setting. More important, all tires lost pressure regardless of the inflation medium, so consumers should check their tires’ air pressure routinely. If you decide to have your tires filled with nitrogen, be sure to have them refilled with nitrogen routinely. Like air, nitrogen filled tire pressure will drop as seasonal temperatures fall. No evaluation was done to assess the aging claim. Overall, consumers can use nitrogen and might enjoy the slight improvement in air retention provided, but it’s not a substitute for regular inflation checks. For more information, read our nitrogen and tires Q&A. Tires that can be driven on for 50 miles or more with no air in them enable drivers to get to a mechanic without having to change the tire after a puncture. Run-flat tires are more than just a convenience; they can add a measure of security by eliminating the need to change a tire in bad weather or in dangerous roadside areas. While run-flats—which are increasingly common on new vehicles—provide substantial safety benefits, they have some disadvantages, which can be glossed over at the car dealership. Some owners of run-flat tires have complained of fast wear in certain applications, a stiff ride, high replacement costs, and that run-flats can be hard to find, with limited replacement choices. Some owners also say they want the added security of a spare tire, and cars with run-flat systems don’t usually carry them. Nor do many cars with conventional tires. Run-flat tires are self-supporting tires, typically found on sports cars and luxury brands, such as the Chevrolet Corvette and many BMWs. Run-flats have very stiff sidewalls to maintain their ability to carry the vehicle load after air loss, but that added stiffness can lead to a harsh ride. Also, some vehicle owners have complained that they were unaware their cars had run-flats when they bought them and only found out when they had to replace the tires. Despite the disadvantages and inconveniences of run-flat tires for many, Consumer Reports believes that the safety benefits can outweigh the downsides. And the technology behind them is improving, although the availability of original equipment replacement tires can be spotty. Consumer Reports also recommends that you know what kind of tires a car comes with before you consider buying it.